hd00:10Herd of sheep, ringing bells, grazing on a mountainside. 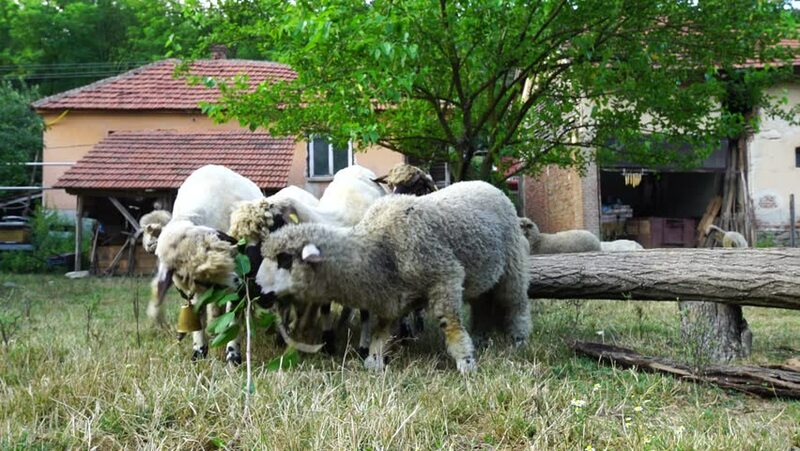 4k00:21Sheep feeding in a rural countryside yard. hd00:07A shot of an Irish sheep eating grass on a green and windy hill in Ireland. Rocks and tall bushes surround the sheep. hd00:13Helmeted guineafowl walking in the garden.